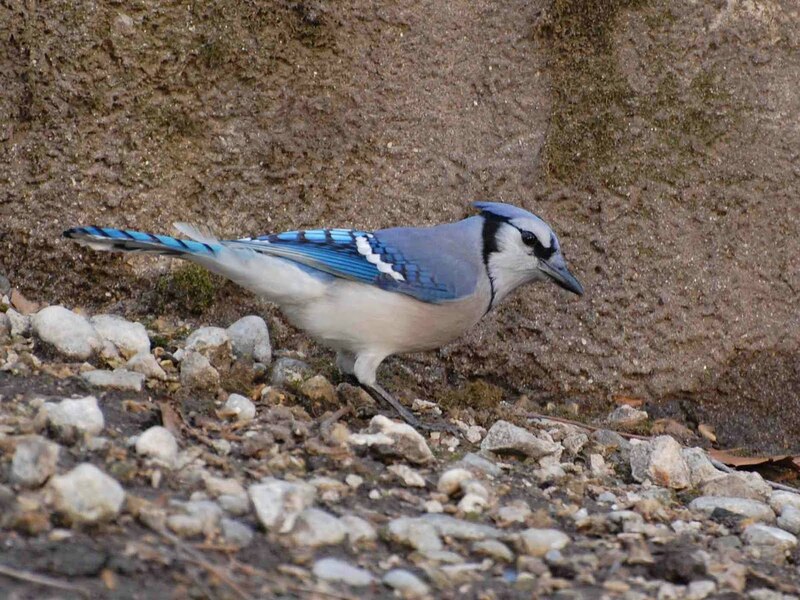 This is a blue jay, Cyanocitta cristata. I was watching old episodes of The Big Bang Theory on television last night. This story is therefore a few years late, but I am writing it anyway for those who haven't heard about it and because I love blue jays. In episode 9 of season 5 of The Big Bang Theory, "Ornithophobia Diffusion," a bird lands outside Sheldon's window. It won't go away. Sheldon is afraid of birds. Funny things happen. The bird's identity been discussed thoroughly on the Internet already. The television show's representatives say Sheldon's fear of birds was responsible for his lack of familiarity with species and consequent misidentification. The episode aired on November 10, 2011. I just saw it. That's not a blue jay.